For much of his Broadway career Franz Allers (b. Carlsbad, Austria-Hungary (now Karlovy Vary, Czech Republic), 6 August 1905; d. Las Vegas, NV, 26 January 1995) was associated with the musicals of Lerner and Loewe, conducting the premieres of Brigadoon (1947), Paint Your Wagon (1951), My Fair Lady (1956), and Camelot (1960), as well as their revivals, and winning Tony Awards® for Best Conductor and Musical Director in 1957 and 1961. He was much admired as well in the fields of ballet, opera, film scores, and classical performance, earning a Grammy nomination in 1954 for musical direction of the stop-action animation masterpiece Hansel and Gretel (with Anna Russell as the Witch). Born into a musical family in the German-speaking spa resort town of Carlsbad, Franz took violin lessons from the age of seven, played quartets at home, and was concertmaster of his school orchestra at ten. He was sent to Berlin to study at the Hochschule für Musik and to attend lectures at Friedrich Wilhelm University, while supporting himself by coaching amateur ensembles and playing in movie houses. Substituting for absent violinists in the Berlin State Opera and the Berlin Philharmonic, he had the opportunity to play under the star conductors of the time: Wilhelm Furtwängler, Erich Kleiber, Bruno Walter, and Richard Strauss. He first tried his own hand at conducting at the Hochschule, leading his fellow students in Beethoven’s Seventh Symphony, after which experiment his teacher advised him that he had a choice: he could become a second-rate fiddler or a first-rate conductor. He chose the latter. Returning to Carlsbad after graduation, he got a job as assistant conductor with the State Theater there and began to specialize in operetta. A year later he took a coaching position in an opera house near Düsseldorf, where he came to the attention of Siegfried Wagner and was invited to coach singers at the Wagner Festival in Bayreuth. His German career, however, came to an abrupt end in 1933 after the Reichstag fire (the event that brought about the rise of the Nazi party: Communists were blamed for arson, civil liberties were suspended, and the government instituted mass arrests, including all of the Communist parliamentary delegates, leaving the Nazis in absolute control). Allers returned to Czechoslovakia as musical director of the Bohemian provincial theater at Aussig (Ústí), where he remained until 1938. When the Nazis took over the Sudetenland (including Carlsbad and Aussig), Allers escaped to London, where he began to conduct for visiting ballet companies at Covent Garden. When the Ballet Russe de Monte Carlo toured that fall from London to the United States, Allers was invited to come along. For the next six years, as the company travelled all over North and South America, he had the opportunity to conduct leading symphony orchestras on both continents. 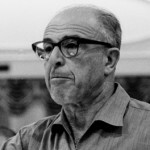 In December of 1945, just when it seemed that ballet was going to be his whole life, his old friend Maurice Abravanel, whom he had known as a fellow student in Berlin, and who also had fled the Nazis to find a career in America, asked Allers to take over the musical direction of Lerner and Loewe’s Broadway musical The Day Before Spring. Abravanel was going to guest conduct in Australia. Allers accepted, and ended up taking the show on a U.S. national tour, resigning from the Ballet Russe, and making Broadway his home. It was clear that Frederick Loewe, Berlin-born and operetta-bred, had found the perfect musical collaborator in Allers. He had met writer and lyricist Alan Jay Lerner in 1942, and with him had written two moderately successful musicals before The Day Before Spring. Franz Allers conducted Lerner and Loewe’s first big hit, Brigadoon, in 1947 (581 performances), as he did the somewhat less successful (at 289 performances) Paint Your Wagon in 1951–52. The legendary My Fair Lady, however, ran for six and a half years – 2,717 performances, of which number Allers conducted at least two-thirds. Camelot followed, with 873. During this period Allers was active in several other projects as well: from 1953 to 1956 he spent a month each summer conducting musicals at the Texas State Fair in Dallas. He prepared the orchestra and chorus for Plain and Fancy on Broadway in 1955. From time to time he would take breaks from Broadway to “recharge [his] artistic batteries” in Europe, conducting the Vienna Symphony, the Berlin Philharmonic, and other orchestras in the classical repertory. The partnership between Lerner and Loewe ended in 1962, but this only seemed to open up new vistas for Franz Allers. For the next twelve years he handled the lighter fare for the Metropolitan Opera, both in the New York house and on tour: he conducted Die Fledermaus in 1963 and 1967, La Périchole in 1965 and 1971, Der Rosenkavalier in 1969, Martha in 1967, and Hansel and Gretel in 1967, 1971, and 1975, with a radio broadcast in each of those three years. He also led many of the Met’s free open-air concerts at Lewisohn Stadium. 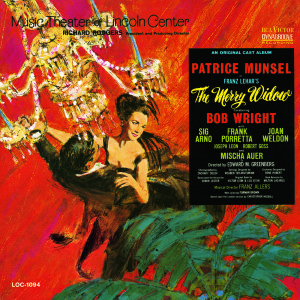 When revivals were instituted under the banner of Music Theater of Lincoln Center, Franz Allers was the conductor of choice: The King and I and The Merry Widow in 1964; Carousel and Kismet in 1965; Show Boat and Annie Get Your Gun (with Ethel Merman) in 1966. 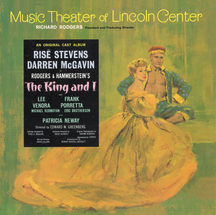 All but one of these productions were recorded on the Columbia label; a Studio Cast Recording of Oklahoma with John Raitt, and with Allers at the helm, is available as well from Sony Masterworks, as are all four of the Lerner and Loewe classics. Allers provided the musical direction for a number of television productions, too, both in the United States and Europe. After the Grammy-nominated Hansel and Gretel of 1954, he conducted Hans Brinker and the Silver Skates (1958, with Tab Hunter), The Nutcracker (1964), a TV adaptation of Annie Get Your Gun (1967), and a production of Offenbach’s Die schöne Helena (1975). While working on Broadway, and in his early Met Opera years, Franz Allers lived in Riverdale with his first wife, the former Carolyn Shaffer, a singer whom he met in Chicago in 1939, and their daughter Carol. In later life he moved back to Germany and lived in Munich with his second wife, German actress/playwright Janne Furch-Allers (née Ertel). At age 89 he became ill with pneumonia while on a trip to visit relatives in California, and died at Desert Springs Hospital in Las Vegas.